Meatless Monday is a nonprofit initiative of The Monday Campaigns. Their goal is to help reduce meat consumption by 15% to improve personal and planetary health. Each week I share meatless recipes I've tried from cookbooks and online. 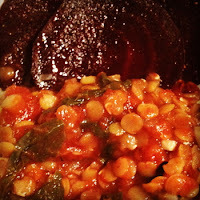 You can see past Meatless Monday posts by clicking here. 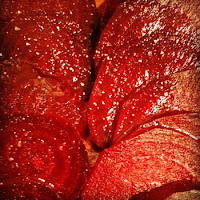 This was the first time I've roasted beets, and was surprised to discover that they're crazy simple to make. 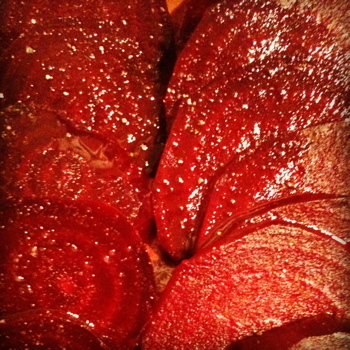 I wrapped each beet in foil and baked them at 425 degrees for about an hour (I put them in a bread pan so that their juices wouldn't drip all over the oven). When they were done, I peeled and sliced them, and served them with olive oil, balsamic vinegar, salt and pepper. Yum. Simmer shallot and garlic in 1/2 cup water till shallots are soft. Stir in garam masala, and cook a little bit. 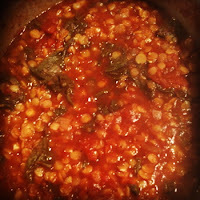 Add tomatoes, lentils, and 1 cup of water. Bring to a boil. Reduce heat and add chard. 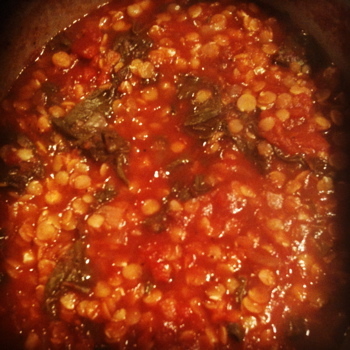 Cover and simmer till lentils are soft, 30-45 minutes. Season with salt, pepper and red pepper flakes. 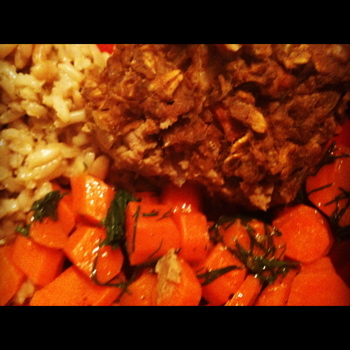 I also made my first meatless meatloaf this week from Fat Free Vegan Kitchen's recipe, Thanksgiving Meatless Meatloaf. I served it with rice and Ina Garten's Sauteed Carrots. It wasn't quite the texture I was hoping for (mine turned out more mushy than loafy), but the flavors were awesome. It may have been mushy because I couldn't find the quinoa flakes that the recipe called for, so I used rolled oats instead. 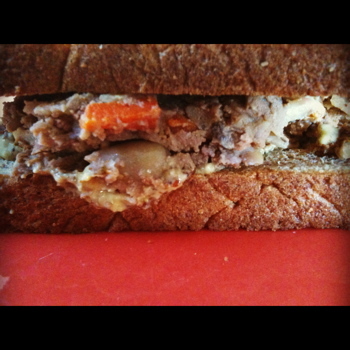 I really liked it the next day in a "meatloaf" sandwich. 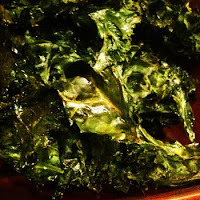 My final new cooking adventure was to make kale chips for the first time using Melissa d'Arabian's Crispy Kale "Chips" recipe on Foodnetwork.com. Very tasty, but they really shrink down. Next time I'll make chips from 2-3 bunches of kale, rather than just one. What yummy meatless dishes did you make this week? 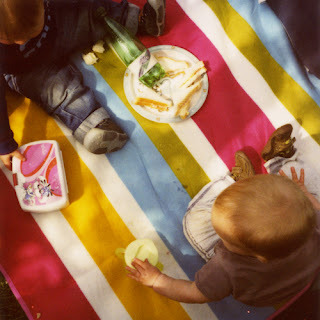 I'm having a bit of blogger's block, so I thought I'd share this post from August 31, 2005 (my 4th blog post! ), Look Ahead Where You Want to Go. I could use this advice for myself right now, and thought maybe you could too. I hate to drive. During the last 14 20 years that I've lived in the Bay Area, I can count on one hand the number of times I've driven a car, even though I have a license. Consequently, my driving skills are pretty rusty, and I am a nervous driver. I have decided that this is the year to get my driving skills up to par so I bought this very helpful and somewhat hilarious book by Norman Klein, Drive Without Fear. For 36 years, Mr. Klein taught mainly older women, whose husbands had died or become ill, how to drive. He devotes a whole chapter to steering. According to Norman, if you can steer, you can drive (and if you can't, forget it). He talks about students who watch the nose of the car or the emblem on their steering wheel to keep the car straight, and he tells them that the most important thing is to look straight ahead and to, "Look where you want to go." This seems like such obvious advice, and yet many of his students look everywhere except in front of them. Some stare at stop signs as they approach and veer off towards the side of the road. One woman watches the scenery pass by her side windows. When he asked her why she does this she said, "I thought this car was automatic." In my career consulting practice with people going through a career transition, I would say that looking ahead where you want to go is also one of the most important pieces of advice that I can give. 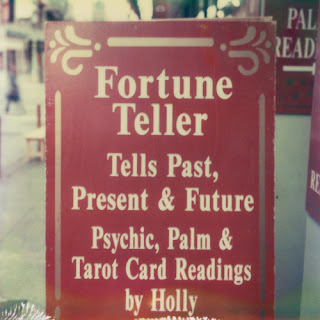 When changing careers, it's important to focus your energy on as specific a goal as possible without spending a lot of time getting stuck on the obstacles (stop signs), perpetual introspection (nose of the car) or everything else on your "to do" list (scenery). But like driving, not only do you need to keep your focus on where you want to go, you also need to move forward by taking action. A long time ago I thought I wanted to be a massage therapist, until I took a class and realized that I had to massage naked people I didn't know. Yuck! If I hadn't taken action towards that goal, I never would have known that it wasn't right for me. If you look ahead where you want to go and take action, eventually, you will get there. Photo of beach in Maui taken by me. 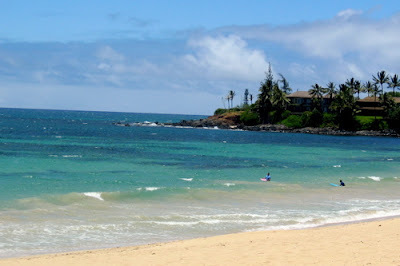 At this moment, that's where I want to go! 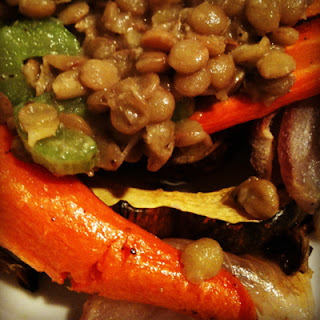 This week I made a super yummy recipe from Whole Living magazine, Roasted Fall Vegetables with Lentils, from the October 2011 issue. First, you get some carrots, red onions and acorn squash roasting. Then, you cook up some lentils and mix them with a mustard vinaigrette and sliced celery. 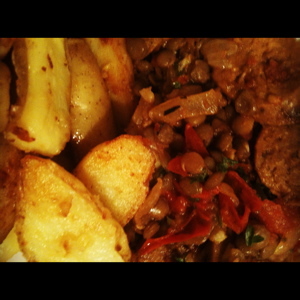 I'll definitely make this again, and may even make the lentil part separately to go with something else (they were that good). The only thing I would do differently is to remove the skin of the acorn squash before it cooks. I didn't really like the taste after it was roasted. I'm on the hunt for a yummy meatless meatloaf recipe. This Thanksgiving Meatless Loaf from FatFree Vegan Kitchen looks tasty to me. What do you think? Do you have any meatless meatloaf recipes to recommend? Full disclosure: I received a complimentary subscription to Whole Living. I'd love to highlight your favorite generous blogger on Have Fun, Do Good, so I'm holding a little Generous Blogger Contest. 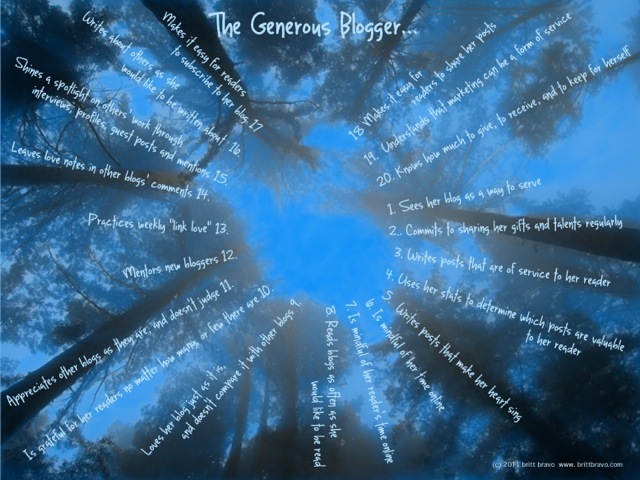 Nominate your favorite generous blogger by leaving a comment on one of their posts telling them why you think they are a generous. Share the link to that post in the comments of this post, along with a way for me to contact you. Nominate your favorite generous blogger by writing a post on your own blog about why you think they are a generous. Share the link to your post in the comments of this post, along with a way for me to contact you. The nomination deadline is Wednesday, October 26th at 5 PM PT. I'm looking forward to reading your nominations! P.S. You can hear me chat about the Way of the Generous Blogger on the World's Biggest Summit. After you register, you'll be able to access interviews from earlier in the month. I was featured on Day 3. Today's post is the seventh, and last (for the moment), in my guest post series: Making Time for What Matters. Be sure to read the pieces by Julie Daley, Tiffany Moore, Rachel Cole, Rachelle Mee-Chapman, Emily McKhann, and Peter Deitz too! 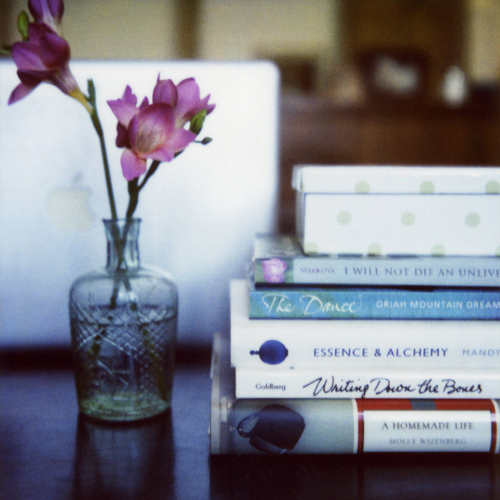 How do you make time for what matters? Soooo . . . . I realize that cookies aren't usually made with meat, but sadly, this is the only new and interesting recipe I tried last week. 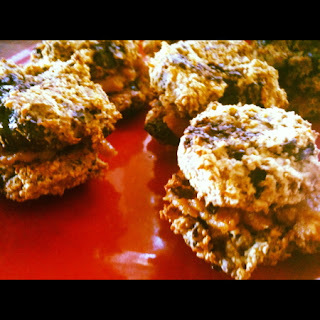 I made these Fluffy Banana Chocolate Chunk Cookies from the Spoonful of Sugar Free blog for a gathering of pals who have a range of dietary restrictions. They're sugar-free, vegan, gluten-free, soy-free, and if you eliminate the layer of peanut butter cream, nut-free. The ladies I made them for seemed to like them. Honestly, the unsweetened chocolate was a bit strong for my taste. If I make them again, I'll use much bigger bananas so that the cookies will be moister, and have more banana flavor. What yummy meatless dishes did you make last week, or do you want to make this week? Today's post is the sixth in my guest post series: Making Time for What Matters. Be sure to read the pieces by Tiffany Moore, Rachel Cole, Rachelle Mee-Chapman, Emily McKhann, and Peter Deitz too! 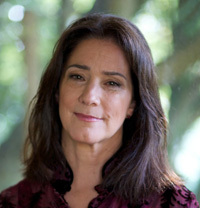 Julie Daley is a coach, teacher, writer, and healer. Since 2003, she has led hundreds of people from all walks of life to take an inward journey of the creative heart, the source within each of us that guides us to answers, healing, and personal evolution. Her own journey began in 2001, when she realized that her 17-year career as a systems analyst, and her new Computer Science and Design degree from Stanford could not distract what wanted to come forth in her. Two deeply traumatic experiences called her to listen to a stirring intuitive voice. As she followed this voice, she left her career, and became a certified Creativity in Business teacher, a course from Stanford Graduate School of Business, and received coaching certification from The Coaches Training Institute and the International Federation of Coaches. You can learn more about Julie at www.unabashedlyfemale.com and follow her on Twitter at @JulieDaley. If you live in the Bay Area, Julie will be teaching The Art of Being Unabashedly Female at Teahouse Studio October 6-November 10. Writing this post has been an illuminating process. 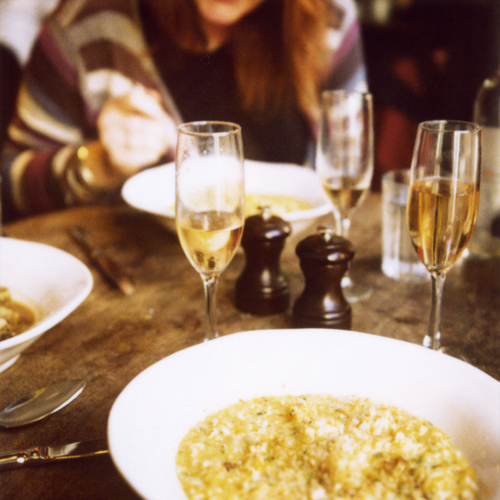 From the outside, it seems like a fairly straightforward idea…how I make time for what matters. But, as I sat with the question of what really matters to me, I realized, over time, that what matters isn’t anything I do, it is who I am being, and how I relate to life when I do whatever it is I do. Below are qualities of being that bring me peace and a resonance with life as it unfolds. Simple – The busier life gets, the more my soul yearns for simple: less stuff in my life and being with things in a conscious way. When I feel the word "simple" my body relaxes, my breath deepens, my heart opens. Connected – I’ve spent much of my life as an introvert – perhaps by design, but also by conditioning. What matters to me now is how I am relating to life itself, whether it be family or friends, work colleagues, or the whole of life. Creatively Expressed – There is a channel of creativity that flows directly through each and every one of us. When I’ve expressed what wants to be expressed, I feel peace; when I block it, I feel frustrated, stuck, and sometimes feel a kind of depression. This expression comes through me in many forms: coaching clients, dancing, photography, writing prose and poetry, business, and being with friends and family. 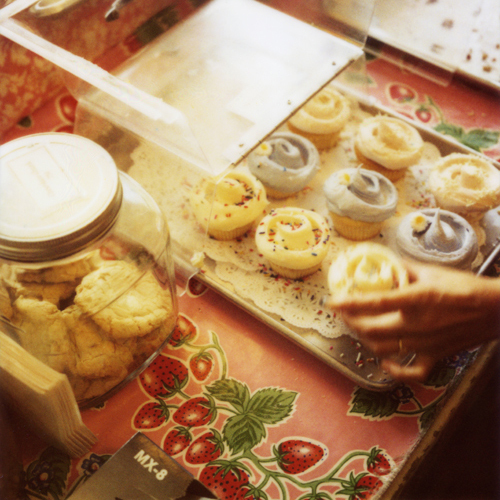 Healthy – This is a broad, broad topic, as it speaks to health of body, mind, and soul. I tend to have a strong voice in my personality that loves to eat sweets, drink strong coffee, and be somewhat sloth-like. What I’ve discovered, though, is that good health feels much more quiet and satisfied than giving in to any craving ever could. This one is a challenge to live all the time, for sure. Fiery – Much as I’ve tried to deny it, I have a fiery side, and the more I get in touch with it, the more whole and alive I feel. Some might call it passion. For me, it shows up most when I’m dancing, teaching and making love. Real – I am discovering what this really means. 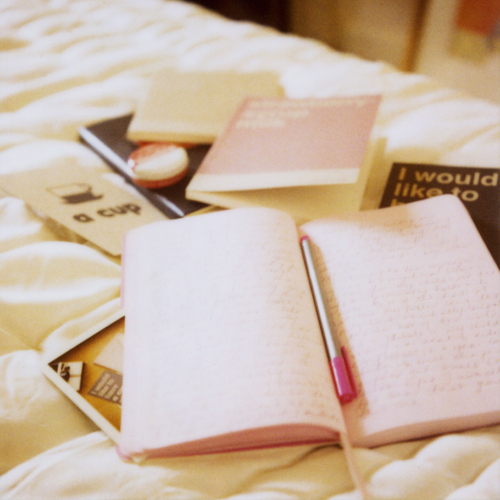 To love, and to be loved, is probably the hardest part of being real. Being real doesn't mean just dumping my stuff on others; instead, it really begins with being true to myself - telling myself the truth, then living that truth. Yet it's the only way to integrity as a human being, and for me, this is real love for self. In my experience, I've noticed that when I am being these qualities, life seems to shift and change to bring experiences that ripen me. I become more rich and full. I have less desire to have the big hit of highs, and am discovering that my life is filled with what matters most. This month's Big Vision Podcast interview is special because it's part of the Girl Effect Blogging Campaign organized by Tara Sophia Mohr. The idea behind The Girl Effect is that when we invest in girls, particularly in developing countries, everybody wins. When a girl receives an education, she stays healthy, HIV negative, marries when she chooses, and raises a healthy family. You may have seen The Girl Effect videos. If you haven't, check them out at GirlEffect.org. 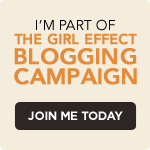 From October 4-11, Tara is asking bloggers to raise awareness about The Girl Effect by writing about it on their blogs. If you'd like to read their posts, or join the Girl Effect Blogging Campaign, go to taramohr.com/girleffectposts. When I signed up to participate in the Girl Effect Blogging Campaign, I wasn't sure how I would contribute, but when I connected with Carinne Brody at an International Museum of Women event a couple weeks ago, I knew she would be a wonderful person to talk with us about the connection between girls' education and global health. 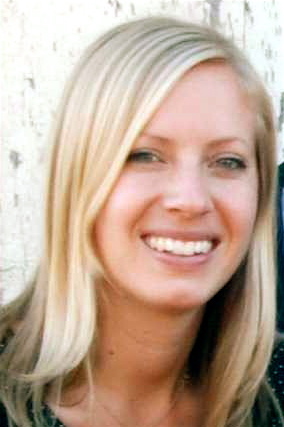 Carinne Brody is a doctoral candidate in public health at UC Berkeley. She is conducting an evaluation of a reproductive health voucher program in Uganda and Cambodia as part of her dissertation, and she co-instructs the International Maternal and Child Health Seminar, and the Maternal and Child Health Core course at UC Berkeley. She did a joint Masters in Public Health and Economic Development at Columbia University. Before and during her studies, she conducted field research for governmental and non-governmental organizations, as well as foundations, on maternal and child health in Sri Lanka, Ghana, Haiti, Somalia, Uganda, Kenya and India. 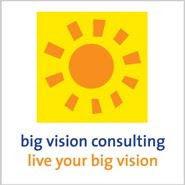 You can listen and subscribe to the Big Vision Podcast via iTunes, or on the player above. 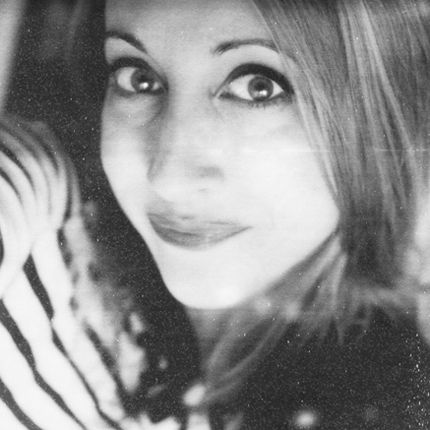 If you have suggestions for people I should interview, please email me at britt AT brittbravo DOT com. -From Outrage to Courage: Women Taking Action for Health and Justice by Anne Firth Murray (Founding President of The Global Fund for Women). Music: "Mango Delight," by Kenya Masala. Connect with Kenya through CD Baby and Source Consulting Group. I recently checked Vegan Express by Nava Atlas out from my local library, and have been trying out some of the recipes. We had this last night. Yum, yum. I couldn't find canned lentils, which is what the recipe called for, so I just made a quick batch myself. For some reason, mine wasn't very stew-like, but it was very delicious, and the fingerling fries were super easy to make. We'll definitely be having this again. I've made this twice in two weeks. How can you go wrong with broccoli and pasta? I made a few changes to the recipe. Instead of 3 or 4 garlic cloves, I used 10, and I added some lemon juice. 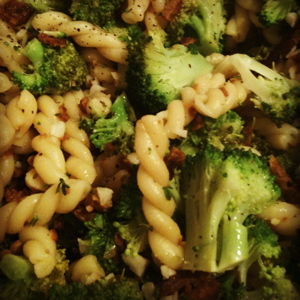 Also, once I combined the pasta, broccoli, and tempeh bacon together at the end, I threw it back in the pan and sauteed it with some more olive oil for extra yumminess. These recipes aren't available online, but you can see other recipes by Nava Atlas on her website, www.vegkitchen.com.